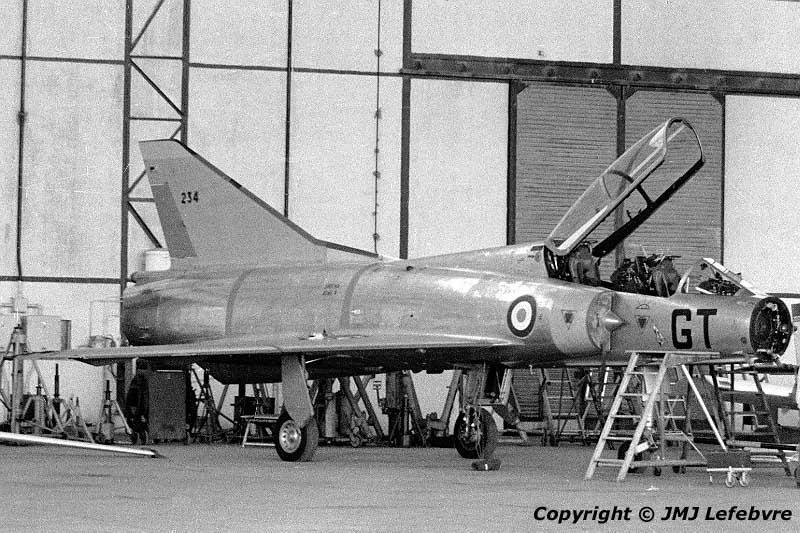 Here, this Mirage III B N° 234 coded GT belonged to EPNER, the Ecole du Personnel Navigant d'Essai et de Réception ( Flight Test and Acceptance Crew School ). After their technical and flight instruction, the pupils knew the deepest secrets of aircraft from the basic nut to the in-flight limits of airframes or engines and were able to perform tests on any new flying machine from glider to bisonic aircraft or any system from basic anemometer to ultra sophisticated navigation or armament system. They also had Meteors, a Canberra and other types including helicopters.